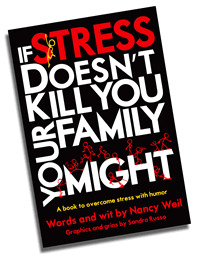 Let’s face it – when you are under stress you are no fun to be around. Your family and your co-workers either avoid you or tiptoe quietly by hoping that you will not notice them. You don’t like feeling or acting this way, but don’t know how to get out of the stress cycle. This book contains the answers you have been looking for. In three simple steps, you can learn how to handle stress in a healthier way. While you may not be able to avoid stressful situations, you don’t have to let stress take over your life. With the tools contained inside this book, you will learn that you don’t have to feel good, to feel better. And remember, “stressed” spelled backwards is “desserts,” so reverse your stress and be good to yourself.